DC ampere meter, 0~30A, shunt 30A/60mV, 80x80x60mm, M23 Analogue measurement system for direct current measurement. Accuracy class 1.5, scale range 0 ~ 30A with shunt. Dimensions 80 x 80 x 60 mm. Measurment module Ampere-hour meter, 1~2000ADC, 8~18VDC/100mA Digital measuring system with a range of 1-2000A DC for measuring electrical current (A) and electric power (Ah). The measured frequencies are displayed on a LED display. Shunt is not included in the price and is purchased separately. List Price 12.00лв. VAT Incl. 11.40лв. VAT Incl. 10.80лв. VAT Incl. 10.20лв. VAT Incl. 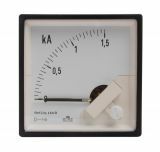 Ammeter, 1.5kA, AC, with external current transformer An analogue-to-analogue measurement system for AC measurement. Accuracy class 1.5, scale range 1.5 kA with external current transformer. Digital ammeter, 0-5A DC, SFD-85 Digital ammeter with range 0-5A DC, SFD-85 The shunt is not included in the price! Digital ammeter, 0-5A, DC, VFD-5135 Ammeter digital 0-5A DC, SFD-5135. Digital ammeter, 0-5A AC, SFD-85 Digital ammeter with range 0-5A AC, SFD-85 The current transformer is not included in the price! Digital ammeter LEDx3, 0-5A, AC, VFD-5135 Ammeter digital 0-5A, AC, VFD-5135. 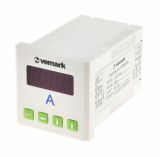 Digital ammeter, 0-5A AC, VFD-48 Ammeter digital, 0-5A AC, VFD-48. Digital panel ammeter, VFD-48, 100A, AC, current trasnformer operated 100/5A THE CURRENT TRASNFORMER IS NOT INCLUDED IN THE PRICE! Digital panel ammeter, SF96, programmable, 100 А, AC, current trasnformer operated 100/5 A THE CURRENT TRASNFORMER IS NOT INCLUDED WITH THE PRODUCT! Three-phase digital ammeter, АМ96-3А, 3x100 A, AC, current transformer operated 100/5 А Digital variable programmable measuring system AM96-3A for AC measurement. Accuracy class 0.5. Scope of the scale for direct connection 5 A. When connected to 100/5 A external current transformers, the range is expanded to 100 A. Setting the current transformer value by programming, using different TTs and bands. 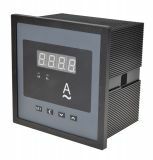 Digital panel ammeter AOB184I-2X1, 100 A, AC, current trasnformer operated 100/5 A THE CURRENT TRASNFORMER IS NOT INCLUDED IN THE PRICE! 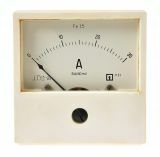 An ammeter is an instrument for measuring and monitoring the magnitude of the electric current. Depending on whether the current is direct or alternating, ammeters are divided into different types. Those for DC are magneto-electric and those for AC can be detection and induction. There are ammeters which are combined both for direct and alternating current. They can be electromagnetic, electro-dynamic, thermoelectric, thermal, etc. 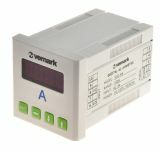 In the electric circuit it is required to connect the ammeter in series with the consumer. There are different ways to increase the working range depending on the type of the measuring instrument. In magneto-electric and detection ammeters there is added shunt, in electro-dynamic and electromagnetic ammeters the coils get sectioned. 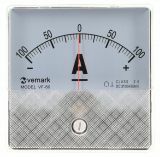 The AC ammeters use current measuring transformers. Ammeters can be pointer (equipped with a scale) and electronic. Their accuracy varies depending on their purpose and their range.